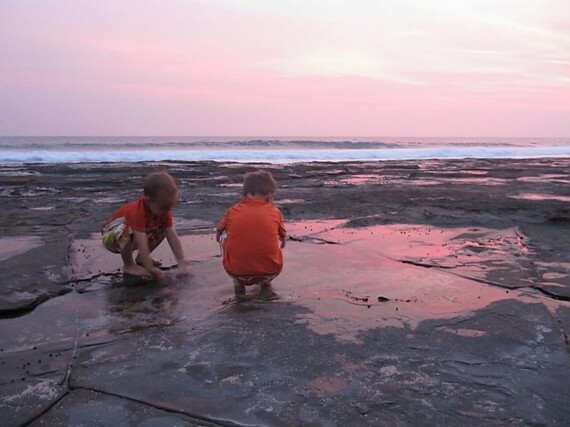 Both of my children have traveled there with us several times, even as babies. Here's my take on how to spend a perfect week with your family in this tropical treasure. In just under 10 short years since I first started traveling to Nicaragua, the questions I receive have changed dramatically from, "Why would anyone go to Nicaragua?" 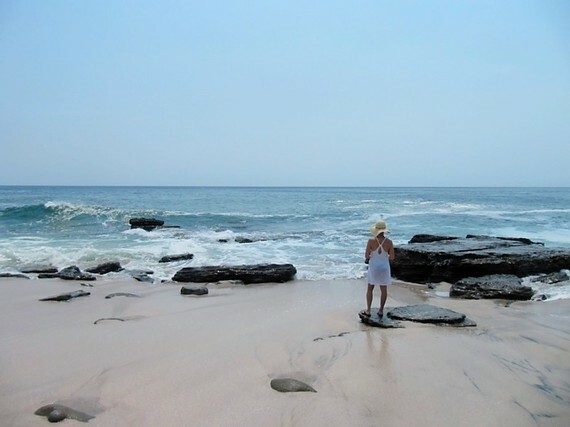 to "What should I do when I visit Nicaragua?" No longer a dodgy destination for those of us old enough to remember Sandinistas and civil war, Nicaragua is quickly becoming the new go-to spot for travelers seeking adventure in Central America. And not only is Nicaragua among the safest countries in the area, it's also family-friendly. Case in point? Both of my children have traveled there with us several times, even as babies. Here's my take on how to spend a perfect week with your family in this tropical treasure. Noteworthy not only for its Spanish-style buildings and cobblestones streets so emblematic of colonial-era cities, Granada is also said to be the first city in the New World. Established in 1524 by Francisco Hernández de Córdoba--the country's monetary namesake--Granada was the original showpiece of Spanish culture in Central America. But it's not enough that this quaint, vibrant city is loaded with elegant architecture, and hip hotels and restaurants. (Among the many, Kathy's Waffle House was our hands-down breakfast favorite.) It's also the perfect jumping-off point for adventure in one of the country's most-renowned volcanoes, Mombacho, shrouded in clouds and visible from practically every spot in the city. Roughly an hour's drive from Granada, the Mombacho Volcano Nature Preserve is the place to go for its plentiful hiking and zip-line opportunities amid the cool cloud forest. 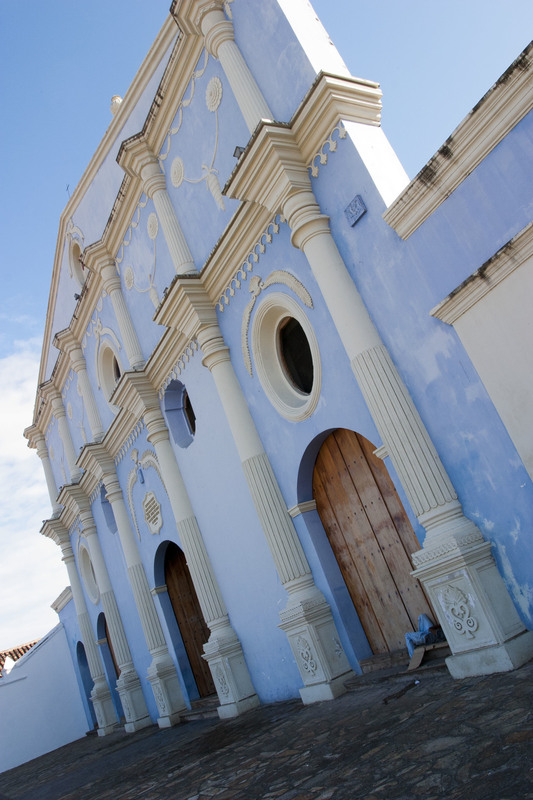 Granada also boasts close proximity to Lake Nicaragua, a freshwater lake that's the largest in Central America and the original site for a canal before Panama won the prize. 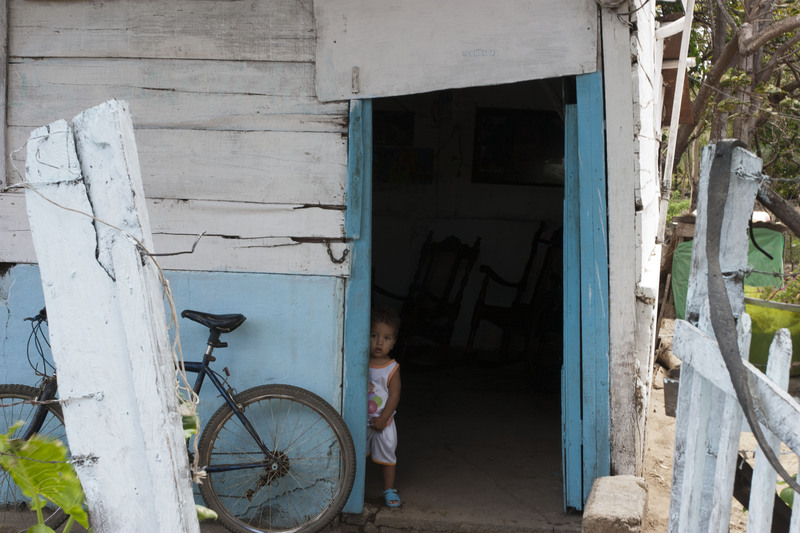 (A controversial plan to build the Nicaragua Canal is currently underway.) One of the best and most popular ways to experience its grandeur is via boat through Las Isletas--a cluster of some 300 tiny islands, ancient remnants of Mombacho's volcanic belches--to view the swanky homes, hotels and wildlife inhabiting them. And be sure to venture to Masaya, about 12 miles northwest of Granada, to visit Masaya Volcano National Park. Peer briefly into the sulfuric mouth of the caldera, then head to the town's Mercado--undoubtedly one of the best artisan markets in Central America--to purchase colorful masks, textiles and paintings by local artists. And if you have time, stop in the small town of Catarina, known for its greenhouses and view of the Laguna de Apoyo, a stunning lagoon in the caldera of a dormant volcano. Oh, and if you're really adventurous, squeeze in an extra day or two and head to Lake Nicaragua's majestic Isla de Ometepe, the largest lake island in the world, comprising two volcanoes: dormant Maderas and active Concepcion. Hiking is an option but only for the most physically fit adventurers who can endure the daylong hikes on each. If you've watched homebuyer shows like HGTV's House Hunters International, or know someone who's visited Nicaragua by cruise ship, chances are you've heard about San Juan del Sur (SJDS). Located about 90 miles south of the country's capital, Managua, on the southwest, Pacific coast, SJDS is arguably the de facto nerve center of tourism in Nicaragua. Once a sleepy fishing village, it now thrums with all manner of "turistas," from local Nicaraguans to backpackers, adventure junkies, surfers and everything in between. If you prefer a more subdued introduction to this laid-back locale, spend a day touring town's many boutiques and souvenir shops, relaxing on the town's public beach or eating from one of the abundant, beachside restaurants. Or "dive" right in with a more active itinerary in this gateway to seaside adventure, offering bountiful beaches and sublime surfing conditions. Regardless of your traveling style, it's worth the punishing hike up the stairway toward Pelican Eyes Resort & Spa, etched cliffside and providing a stunning panoramic view of the city. One of our favorite home bases during our stays in SJDS, you don't have to pay for its lavish rooms to appreciate is amenities. Buy day passes to lounge at one of their three outdoor pools or eat at one of two on-site restaurants. Book a full-day sailboat cruise to a remote beach near La Flor Wildlife Refuge or snorkel excursion to a private beach. And at the very least, head to the resort's bar and infinity pool in the late afternoon, waiting poolside with cocktail in hand to view the dazzling Nicaraguan sunset. What I know for sure is that traveling with kids typically adds more stress to the endeavor. Translation? It's the perfect excuse to indulge in a few days of R&R at one of the upscale beach resorts just north of SJDS. One favorite is Morgan's Rock, an ecolodge complete with 15 luxurious, cliff-hugging bungalows overlooking an expansive, private white-sand beach. In our frequent visits there with our kids, starting with our oldest son at 9 months old (the Web site suggests kids 2 and older, as it's not stroller-friendly), we've relished many memorable experiences there: trekking through the tropical dry forest in search of howler monkeys, sloths or birds; body surfing in the resort's crescent-shaped bay for hours on end; and, the most magnificent, observing a female sea turtle as she labored to lay eggs on the beach. We've also ventured to nearby Rancho Santana, a seaside residential and resort area complete with an uber-kid-friendly beachfront restaurant and pool. 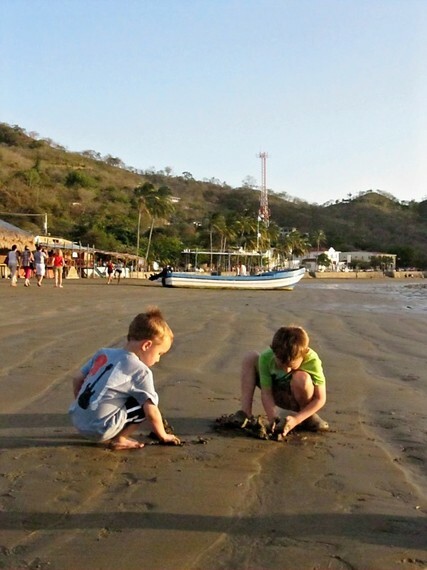 Rent an oceanfront casita or one of the beautiful residential homes perched upslope from the area's five beaches--Las Cinco Playas--including the one our kids loved, Cinco Bandidos. A final bit of advice? If you're game, be sure to experience an unforgettable sunset horseback ride along the beach.